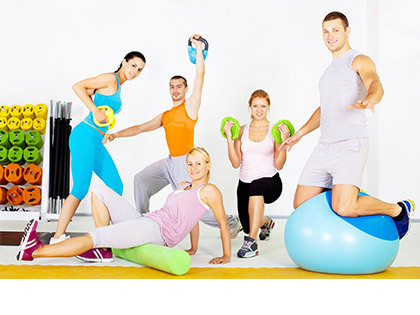 This class is for fit, active participants who wish to work on cardiovascular fitness. It incorporates low impact exercises with floor work and a relaxing cool down. Weights may be used in this class. If you want work hard at an aerobic class this is the one for you. It concentrates on cardiovascular fitness, strength training with hand held weights and core strength finishing off with a good cool down and stretch. This session is based around workstations using weights, resistance bands to improve cardiovascular fitness and strength. A strength based class. 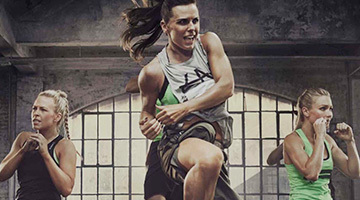 Run in a circuit structure involving balance and core, along with different strength exercises on machines. Variety is the spice! Our instructor will choose two or three elements from low impact, step, resistance bands, weights, balls, abdominal exercises and stretching. 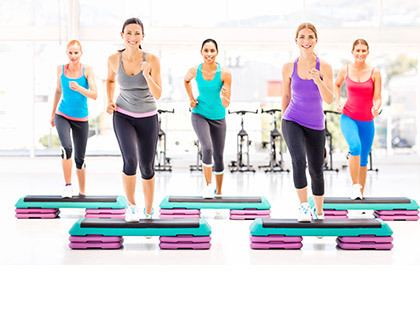 This is a fun, group environment where you can work at your own pace around a variety of work stations and equipment choosing the resistance levels that best suit your own levels of fitness. Concentrates on building core strength, muscle control and stability in a relaxed environment. Designed for participants who do not wish to do floor work. 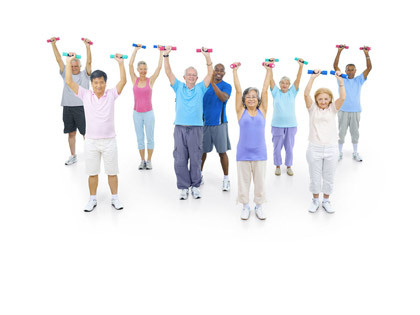 Includes low impact exercises, chair-based exercise with weights, flexibility and stretching work. Is a functional interval training class that provides you with functional movements to help you stay active and moving freely. Iron Man classes are designed specifically for men to work on strength training of the whole body. The classes are in the form of a circuit workout with weights and a variety of other equipment including a stretch and cool down. Designed to strengthen the whole body with the use of weights and chairs. Weight work is ideal to assist in the prevention of osteoporosis. Tap classes cater for the beginner right through to the participant who has tapped before. A fun filled dance session. This class is designed to provide opportunities for people living with disabilities to access physical exercise sessions. A qualified fitness instructor facilitates a wide variety of sports and activities, ensuring they are tailored to suit a variety of abilities and therefore every participant, regardless of their abilities. Parents, carers and helpers are required to provide support and assistance to people with severe or multiple limitations. People assisting the class are provided free entry. 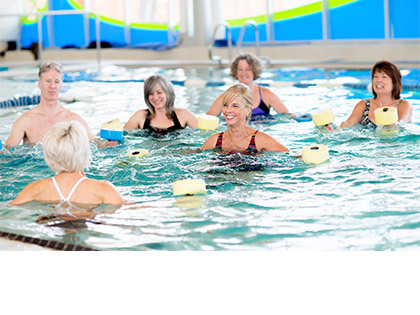 A more intense water based class using a variety of techniques and equipment including buoyancy dumbbells and deep water activities for strength and toning. A water based class using a variety of techniques and equipment including buoyancy dumbbells, deep water activities for general fitness. This class incorporates body weight, hand weights, balance and athletic training exercises designed to increase core stability, muscular strength and cardiovascular endurance. A high intensity class consisting of boxing pad work, skipping, shadow boxing, cardio and resistance exercises. Participants are advised to bring their own gloves or inserts; however, gloves can be provided. This class offers stations of cardio, strength and core designed to give you a full body workout using machines, free weights, bands, balls and floor work. Targeting your mid-section with functional strength exercises, muscle toning and stability work. 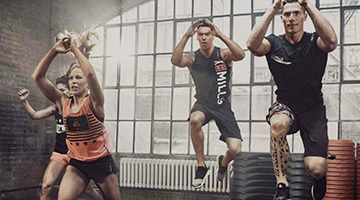 Functional training (formerly AdrenalineHIT) is a small group functional fitness program on the gym floor designed to improve strength and conditioning in a focused, fun and social environment. 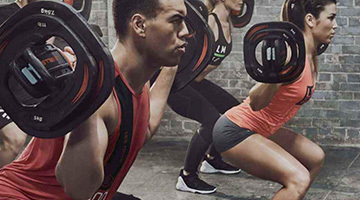 A high intensity interval full body workout alternating short periods of intense anaerobic and strength exercise with less intense recovery periods. Hydrotherapy class in the warm water program pool. Indoor group cycling class held to music. A safe and effective class that is designed for all fitness levels and ages. If you're looking for a way to reduce stress, consider Tai Chi. 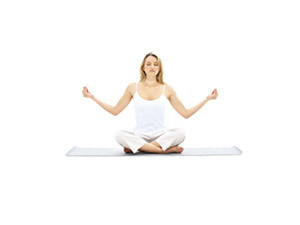 A graceful form of exercise that promotes serenity through gentle, flowing movements.